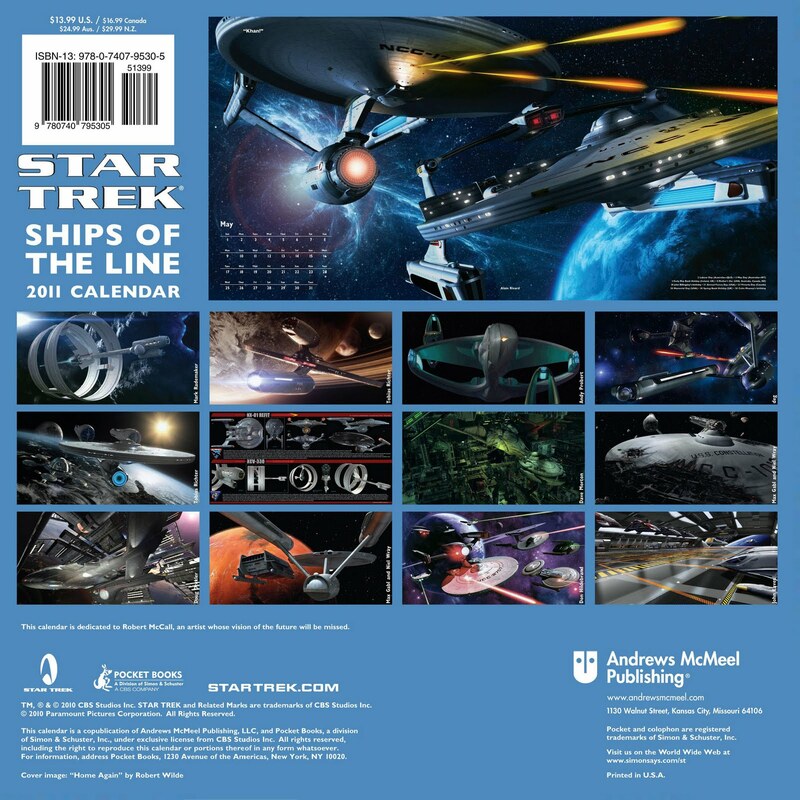 Between Andrews McMeel Publishing's website and calendarclub.co.uk I bring you the front and back covers of next year's Ships of the Line calendar, which is already starting to appear on sale now! Some interesting stuff in there: two new movie images, two TOS remastered images, two paintings this year! The proto-warbird which has already been previewed and a nice glimpse inside the Enterprise-E's shuttlebay. 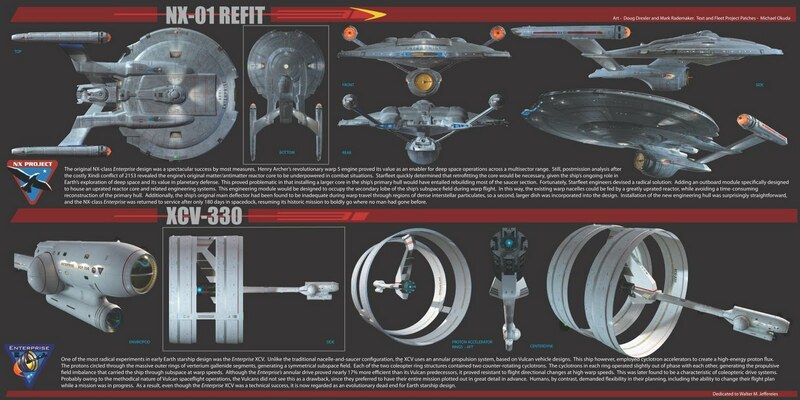 Two Enterprise images, plus the very exciting technical manual style center fold. And then everything else is TOS in one way or another. 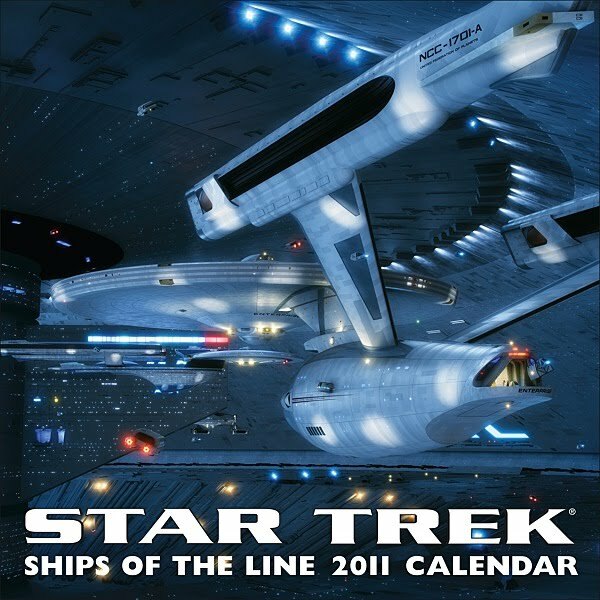 Not one image for DS9 or Voyager! (Or Titan again!) Two years in a row for poor old Voyager fans, hopefully they'll be compensated with a Project Full Circle fleet in 2012 *hint hint*! UPDATE: Trekmovie have posted these pages too, plus a higher res image of the centerfold, good enough to read the text!